Resolve not to diet in 2019. Instead adopt a healthful approach to eating and live a healthy lifestyle to keep the weight off for good! Noom is a wellness program that is designed to help you live a healthier life by helping you create better habits. Unlike other weight loss programs that focus just on the physical aspect of losing weight, Noom focuses on the mental aspect as well. 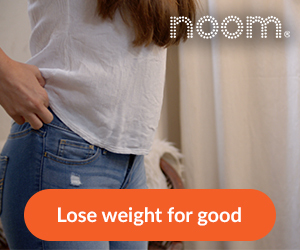 Click to find out how much weight you'll lose for good with Noom's free 30-second online evaluation, then get your 14-day trial for only $1.